On November 2, 2018 CMS announced the finalization of the 2019 OPPS and ASC payment rules which were initially proposed in July of 2018. While the final document will not be officially published until November 21st, an Inspection Copy is available for the public to review on the Federal Register website. 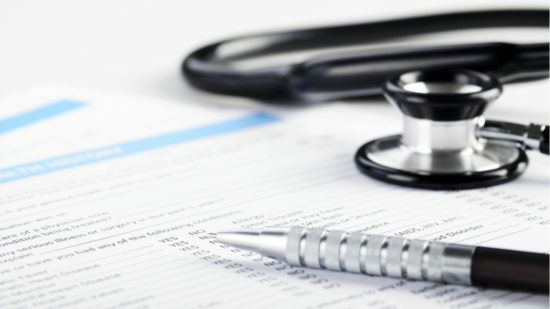 These new payment rules in many ways expand the range of services that CMS will reimburse when performed at Ambulatory Surgical Centers (ASCs), most notably, by including certain cardiac catheterization procedures on the approved list, and by lowering the threshold that determines allowable device intensive procedures. The Final Rule will add 17 procedures relating to cardiac catheterization to the list of ASC Covered Surgical Procedures. The final list includes five procedures that were not included in the July 2018 proposed rule, due in part to commenters requesting that additional procedures be added to the list, and CMS adopting their request, at least in part. The expanded list reflects the growing trend of cardiac procedures being transitioned from an inpatient to an outpatient setting. This shift will have a continuing business impact on inpatient providers and may also lead to state-level regulatory changes. States that currently prohibit cardiac catheterization procedures at outpatient facilities may decide to adopt changes to allow certain procedures that have been deemed acceptable by CMS to be performed at facilities without on-site inpatient services, including ASCs. Furthermore, these additions could be a springboard for CMS to later add more complicated procedures to the list of ASC covered services. CMS has also taken steps to make device-intensive procedures more accessible in the ASC setting. Procedures categorized as “device-intensive” are paid at the higher OPPS rate, even if performed in an ASC. However, a procedure only qualifies as “device-intensive” if the portion of the procedure’s cost related to the device falls within a predetermine percentage. The Final Rule decreases the device offset percentage threshold from 40 percent to 30 percent, meaning that procedures utilizing lower-cost devices will now be eligible for reimbursement as “device-intensive.” As a result, ASCs will have the financial capacity to perform more procedures that involve lower cost medical devices. CMS directly states its purpose behind this move saying “We believe allowing these additional procedures to qualify for device-intensive status will help ensure these procedures receive more appropriate payment in the ASC setting, which will help encourage the provision of these services in the ASC setting.” The implementation of the new payment rules will undoubtedly lead to an increase in the amount of device-intensive procedures performed in the ASC setting as ASCs expand their scope of services to include more device-intensive procedures and patients choose to have these procedures performed in an outpatient setting. This change may also indicate future moves by CMS to encourage complex, device intensive procedures, such as joint replacements, in the ASC setting. These rule changes reflect Medicare’s continued shift towards encouraging services to be provided in the less costly outpatient setting. Anticipating a continued incline in the amount of individuals eligible for federal programs based on the expectation that 10,000 baby boomers will retire per day for over the next decade, CMS is likely to continue making changes to its payment rules to encourage the provision of care in lower cost settings. These changes provide opportunities for ASCs and physicians to expand their business, but also threaten more “bread and butter” revenue streams on which hospitals have historically relied. Thus, hospitals, ASCs and physicians should consider addressing these changes in their long-term strategic plans, including possible joint ventures for outpatient services, in general, or specific service lines, such as cardiac catheterizations. 83 Fed. Reg. 37046, 37160. 83 Fed. Reg. 37046, 37108.